Unfortunately it's not the X6 M.
The news has been piling up about the next-generation BMW 3 Series. We know than North American-bound 3 Series models will be built in Mexico and that the new car will be underpinned by the company's Cluster Architecture (CLAR), which will also underpin the new 5, 6, and 7 Series. BMW Blog is now reporting a new rumor about the next-generation 3 Series. 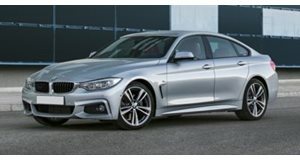 We could see one of the 3 Series variants disappear in the next generation. Don't worry wagon fans, that model will be safe for now, but the 3 Series Gran Turismo may not be long for this world. When the 3 Series GT was first revealed, we didn't think much of it. We thought it looked like a normal 3 Series with Quasimodo's hunch. The only pleasant thing about it was that BMW made it look better than the far worse 5 Series GT, which might still be the worst looking car the company has ever produced. When BMW updated the 3 Series GT, it did become slightly better looking, but we never really saw the need for the car in the first place. The 4 Series Gran Coupe does basically the same thing, but it looks much better. BMW is finally realizing that selling the 4 Series Gran Coupe and 3 Series Gran Turismo next to each other in the lineup was a mistake. The 4 Series is easily the better car. 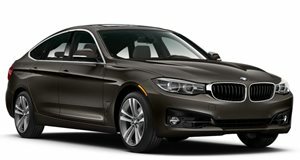 The next-generation G20 3 Series should arrive in 2018 with the updated 4 Series set to arrive one year later and the wagon variant hopefully to continue as well. The 4 Series will continue to offer coupe and convertible trims, with the Gran Coupe taking over for the 3 Series GT.